Considered to be one of America’s best Italian-American restaurant, Maggiano’sLittle Italy is a family-style restaurant. It opened its doors on November 11, 1991, at Clark St., corner Grand Ave. in Chicago, Illinois. They offer a 3-course catering set menu which includes the appetizer, entrée & dessert. They also have a Dine & Dash menu which consist of salads, pasta, entrée & desserts wherein people on-the-go can still enjoy their meal. Their menu is extensive, so the customers have a lot of dishes to choose from. They also have a selection of cakes & desserts. Some of their restaurants have large banquet halls which can accommodate a business meeting or social events such as parties, wedding, graduations and other gatherings. Maggiano’s Little Italy have several restaurants across the United States which stretch from California to Virginia. So, you are sure to find a Maggiano’s restaurant near you. Being one of America’s best Italian-American Restaurants, they pride themselves not only on their delicious food but also for their elegant venues which are all well-decorated to deliver a perfect experience for the guests. Ordering from Maggiano’s can be done in a several ways.You may visit their website (http://www.maggianos.com) to locate the nearest restaurant for acarry-out option or on-premise dining. If you intend to use their banquet halls to host large gatherings, you can make reservations by contacting them at (404) 816-6257 and their Private Event Specialists would be more than happy to assist you. Be sure to coordinate with them in advance prior to your event. For Deliveries, Maggiano’s have an assortment of delivery packages which serves 8, 16 or 50 people. 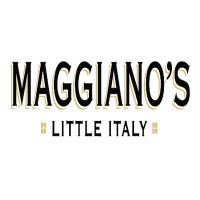 You may book deliveries online at (http://www.maggianos.com/delivery) or call a delivery specialist at a local restaurant near you.Maggiano’sSignature Dishes include their classic pasta dishesand Signature Flatbreads. Their decadent desserts are also among the favorites of their customers. Maggiano’s have 2 Types of themenu for their catering service. These aretheBanquet Meals and their Delivery Packages. If you are hosting your event in one of their venues, they have two types of Banquet Meals. First is the Daytime Banquet Menu wherein you get to pick between Breakfast Brunch buffet or Family Style Lunch. And then there is the Evening Banquet Menu, wherein you can choose from a Regular Family Styled Dinner to Venetian Styled Feast. The 3-course set meal comes with achoice of two Appetizers and two Salads, Choice of two kinds of pasta and two entrees and two desserts. They also have Large Party Delivery packages wherein they can customize the meals according to your requirements. Food is served hot and ready to eat, complete with utensils and napkins. Their food is a quite expensive compared to other catering services. But considering its large portions and delicious taste, it is well worth the price that you pay. Also, with their diverse menu of authentic Italian food, you’ll be sure to keep coming back for more.